Maike Luiken, Ph.D., FEIC, SMIEE, is the founding director of the Bluewater Technology Access Centre following eight years as Dean with various portfolios at Lambton College, Sarnia, attracting more than 10 million CAD public research funding. Prior, she was VP Research Alliances, National Capital Institute of Telecommunications, Ottawa. She has worked in the public and private sectors in Canada, USA and Germany. She has more than 30 years of professional experience in teaching, research and educational administration, leadership and community building; especially in linking industry partners, government agencies and researchers in advanced technology initiatives. Her areas of interest and expertise span diverse technical areas from energy and water to advanced manufacturing and nanotechnology, with particular interest in how progress in ITC enables advances in other disciplines. 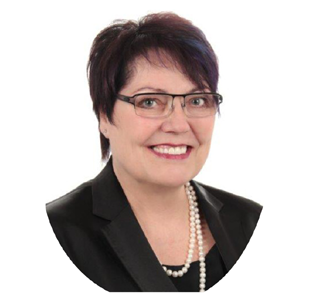 Maike has extensive board-of-director experience: Nano Ontario, IEEE Canadian Foundation, Sarnia/Lambton Chamber of Commerce, Sarnia/Lambton Workforce Development Board; and Unmanned Systems Canada. Xavier Fernando, Ph.D., P.eng, SMIEE, is a Professor at Ryerson University, Toronto. He is the founding director of a well-funded Ryerson Communications Lab. He was a member of Ryerson Board of Governors during 2010-2011 and a TRLabs telecommunications research scholar during 1997-2001. He has authored and co-authored more than 100 research articles and holds two patents. He is the sole author of a book on Radio over Fiber systems and a co-author of the IEEE Communications Society WEBOK, The Wireless Engineering Body of Knowledge. He was an IEEE Communications Society Distinguished Lecturer, delivering about 40 invited talks including keynotes and tutorials worldwide. Xavier and his students have won several awards and prizes nationally and internationally. He was a member of IEEE Communications Society Education Board: Working Group in Wireless Communications, during 2010-2012. 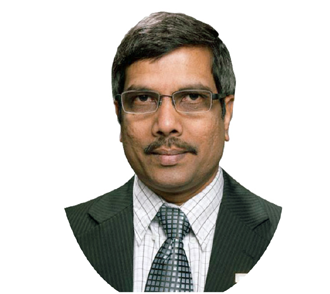 He was a program evaluator for the Accreditation Board for Engineering and Technology, USA. He was a finalist for the Top 25 Immigrant Award of Canada in 2012. An interview with the candidates for IEEE Canada President-Elect for 2016-2017 was recently conducted. Six questions were posed, developed by a team of past presidents and senior volunteers. Candidates could choose to give extended responses to any two of the six. Question 1: Why did you join IEEE and what was your favourite project in IEEE since? Maike Luiken (ML): I joined IEEE as a student at the University of Manitoba in 1984. The IEEE Student Branch was vibrant, and an excellent opportunity for students to work together and support each other. At that time I was forming a Women In Science and Engineering (WISE) Chapter in Winnipeg and encouraging partnership between IEEE and WISE. I re-joined IEEE in the 90s to support the student branch at Algonquin College as branch counselor. My favourite IEEE project? There are many projects I greatly enjoyed working on with many IEEE volunteers, especially students and young professionals: organizing and leading four Region 7 Student Congresses, revitalizing London Section and starting sustainability seminars have to be some of my most rewarding experiences. Xavier Fernando (XF): I was treasurer of the IEEE Student Branch at the University of Peradeniya, Sri Lanka, as an undergraduate student in 1987. Since then I have been involved in IEEE in various volunteer and leadership positions. The fundamental reason behind my commitment is the endless opportunities IEEE provided me to serve humanity and to take engineering innovations to society. IEEE also provided ample opportunity to work with young professionals, students, as well as likeminded professionals, which naturally fits my personal interests. Out of the numerous activities I have taken part in, my favourite project is the extended student outreach during my chairmanship of IEEE Toronto Section. We boosted the student membership by about 30% during 2012-13 by actively involving students at all levels of activities. Question 2: If elected, how do you think your volunteer experience can help you in this position? ML: My volunteer experience includes roles with the IEEE, IEEE Canadian Foundation, IEEE PES and other organizations such as Nano Ontario, Rotary, the Chamber of Commerce, the Workforce Development Board, Unmanned Systems Canada, to name a few. Activities include conference organization; strategy development and implementation; and serving as chair at multiple levels: committees, initiatives, sections and conferences. I also serve as a member of numerous Boards of Directors. My successful contributions in these various roles, especially the IEEE positions, provide me with a solid understanding of the IEEE Canada organization and the skills to take responsibility and lead IEEE Canada. My experience will help me motivate and inspire my fellow volunteers to achieve our common goals. XF: I have served IEEE in various levels for the past 28 years; from being a student volunteer to leading the Toronto Section (with 18 Chapters, 5 affinity groups and a number of student branches, representing more than 4,000 members). I have also organized major conferences such as CCECE. In these roles, I have had to interact with numerous volunteers with different personalities and get things accomplished on time, which boosted my interpersonal skills enormously. These experiences also developed my organizational, managerial and critical decision-making skills. Meanwhile, I learned effective time management because simultaneously I was raising my family (with three children) and being active in research and teaching. All these experiences have strengthened me to serve as the President of IEEE Canada. Question 3: How would your leadership style and your personal strengths contribute to your success in this position? ML: I am bringing, vision, commitment and experience to this role. A vision for IEEE Canada to be recognized for its contributions to Canadian society, and for the members and volunteers to be proud to be part of IEEE Canada. My leadership style is based on listening, and being open, transparent and inclusive. I consider myself a "builder". I believe my personal strengths such as consensus building, motivating, strategic thinking, significant international experience, professional life in the public and private sector, long-term engagement in a number of different IEEE units, skilled analytical/systems thinking, change leadership, a pro-active, optimistic can-do attitude and - most importantly - my people and team building skills, will enable me to be successful. XF: My leadership style is encouragement and positive reinforcement. Human beings - especially volunteers - can be motivated by a leader who listens, genuinely recognizes their efforts, understands their difficulties, and is there for them. Also, it is important to understand the skill sets and the professional level of each volunteer. I am generally a very approachable person and pay attention to solving the immediate problem in front of us. I am not into finding fault. So far my approach has helped me. However, IEEE Canada is a very big organization and my new positions will require much more than these, I realize. Fortunately, IEEE Canada is blessed with several veteran pioneers. With their kind blessings and mentoring, and my commitment to constant learning and self-improvement, I hope to meet the given challenges. Question 4: Many practicing professionals consider continuing education as essential to staying relevant in their professions. How will you assist them in getting the required IEEE resources to address that need, and to increase IEEE's relevance to them? ML: Staying current and career advancement are important to most professionals. Technical knowledge, development, regulations and "the way we are doing things" are changing rapidly, thus providing an on-going challenge; consider the development and impact of the Internet of Things, Industry 4.0, robotics, autonomous vehicles, distributed energy generation, to name a few. - promote communities of interest - using the IEEE Collabratec tool. It allows collaboration between IEEE and non-IEEE members. XF: IEEE has many continuing education opportunities, e.g., short courses, university and corporate partner programs, and certificate programs. It is also rich in online resources like webinars, multimedia tutorials, and podcasts. The IEEE eLearning Library is such a premier online collection. The IEEE Continuing Education Providers Program offers members a discount on various educational programs; IEEE is also an authorized provider of Continuing Education Units for technical professionals. Having served in the COMSOC Educational Activities Board and as part of the IEEE Wireless Communications Certifications Program, I am well aware of these opportunities. They need to be better advertised. The contents must be enriched and be made more relevant to practicing professionals. More opportunities have to be explored. Question 5: What are the three items that you would include in the strategic plan for IEEE Canada? Explain the importance of each. 1. Strengthen, grow and inspire the volunteers of IEEE Canada. Without the many committed volunteers, IEEE Canada cannot deliver programming to its members. Actions include: greater volunteer recognition such as awards and conference attendance passes; support for sections and chapters for volunteer recruitment. 2. Support Section Vitality. Most IEEE Canada member services are provided at the section level - strong sections are in a better position to provide member services and engage with local communities. Actions include: partnerships with other professional and community organizations such as provincial engineering bodies, industry associations, government labs and Rotary International. Also, support for facilitating locally accessible activities of interest and relevance to members' careers and professional development as well as the wider community. 3. Enhance the visibility and impact of IEEE Canada through increasing collaborative activities between industry, business organizations, academia and the IEEE. Engineering and science innovation are vital to Canada's continuing development. It is important for the IEEE community to share its knowledge and experience with the public - using common language - for its full potential to be realized. 1. Cost-cutting measures: We need to do a detailed, critical self-study to see how cost cutting can be done without significantly impairing our functionality. This has to be done in a smart way to reduce non-essential expenses while maintaining our key services unaffected. 2. Increased value for Members: Retention of IEEE members, who are our lifeline, and who heavily depend on the tangible return they receive, especially during difficult times. Our strategic plan should include increasing the value of their membership. For example, we should provide more networking and professional development opportunities, and more recognition. 3. Provide additional training and continuing education opportunities for unemployed/under-employed engineering professionals: This is essential for them to get back on their feet. For this, IEEE Canada may have to work on developing more professional courses, on-line learning resources, hands-on workshops and other training activities. Question 6: What must IEEE Canada do to stay relevant to all its members? ML: I would propose a process of engagement with members and volunteers, since "staying relevant to all its members" is a moving target. For example, the new Canadian federal government Tri-Agency Open Access Policy is changing the landscape for access to publications. provides align with the expectations of the members? 2 Where are the points of non-alignment? 3 How can we address the un-met member expectations? I propose that we engage in this process and act on the results. XF: The world is changing in the way technical knowledge is acquired, distributed and disseminated. Social media has become the new norm of communication. In order to remain relevant, our cyber presence must be enhanced. This is the future and it will actively engage professionals and students in IEEE activities. Not only information about technical activities, but technical information itself is better made available through cyber media using online conferences, webinars and podcasts. Recently, the improved bandwidth/reliability of the internet has made online technical presentations and webinars very successful, connecting presenters/audiences even in developing countries. Our meetings can also use more (multimedia) teleconferencing to be more time and cost effective. Another area to remain current is having more focus on student-centric activities and early recruitment. Students are our future; they have to be reached out to and be given a chance to experience the benefits of IEEE at an early stage. Young students are often filled with new ideas, doing things more effectively using new technologies. They will naturally make IEEE Canada more up-to-date and current. The young and active members, who are given good responsibilities in IEEE, are likely to remain active, productive volunteers for a long time. Another topic is "open access publication". The scientific community, including funding agencies like NSERC, is leaning towards open access publications. We, IEEE Canada, should acknowledge and facilitate open access publication as much as possible to remain current.